popular manga in Japan. One might even suggest that the last ten years have been the Japanese equivalent of a film renaissance. One of the best adaptations, despite the silly special effects. The best thing about the invasion is that it’s just getting started. 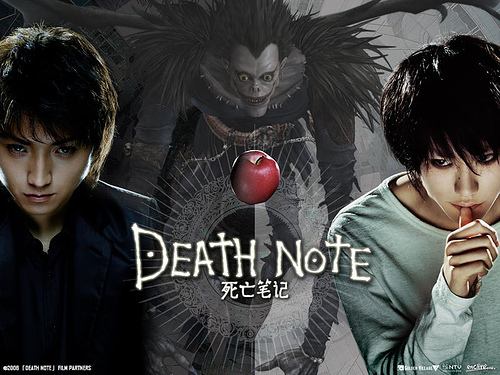 The next two years are looking to be some of the biggest for anime/manga live-action adaptations. What’s coming? How about half of the top ten most influential and/or popular anime productions ever made (for U.S. audiences, at least): Ghost in the Shell, Cowboy Bebop, Neon Genesis Evangelion, and Akira. 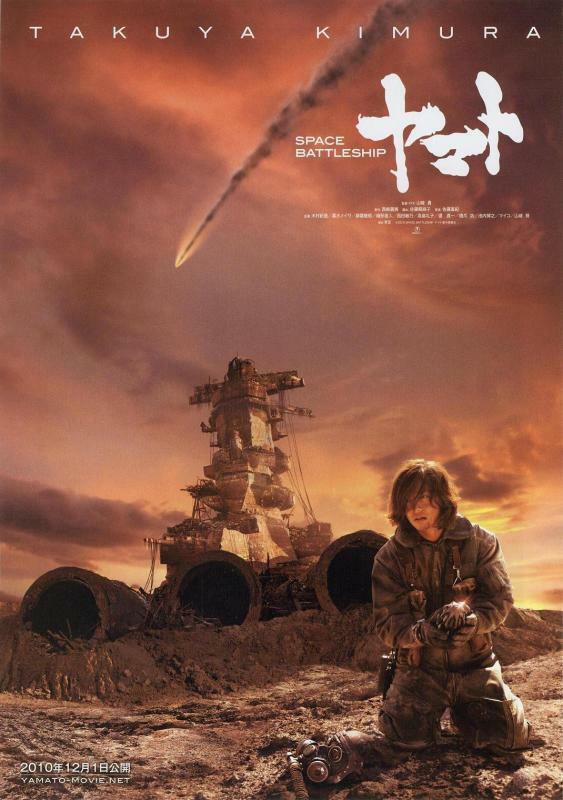 Plus, you can’t forget the recent release in Japan of the live-action adaptation of Space Battleship Yamato (known as Star Blazers to U.S. viewers), which–we can only hope–will get a decent release in the U.S. so we don’t have to wait for bootlegs to hit the torrent sites or $30 DVD sets with poor subtitle production to hit shelves. Yamato looks like the kind of film you need to see on a massive screen with decent theater audio–one might say that it has “epic” written all over it. The best live action adaptation ever? Let’s hope! 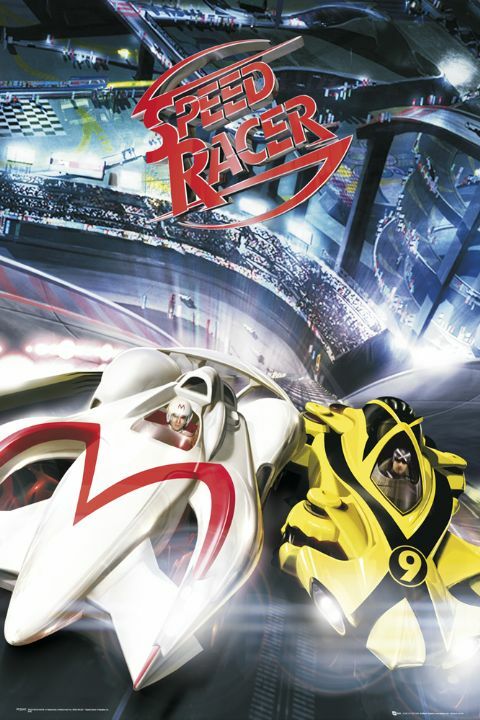 Speed Racer, however, is likely a fluke, since most of the upcoming adaptations are of franchises that will translate well to live-action even if the source material has never been viewed by the target audience. Ghost in the Shell will be, we can hope, a deeply psychological look into identity in a drastically posthuman world; Akira will have a similar psychological framework, but focused on the conflicts of power and the people who want to control it. And there are others: Cowboy Bebop, Voltron, Full Metal Panic, Bubblegum Crisis, Gatchaman, Battle Angel, Gantz, and so on. What most of these share–and what makes anime a great medium to adapt into live action feature films–are a collection of counter-inhibitions–features that make anime a love it or hate it medium in its pure form, but also seem to make live-action anime adaptations work well for U.S. audiences. An Unrelenting Orientation Towards Action. Anime and manga often don’t pull punches on the action, letting high-powered weaponry or magic control the scene. This is in stark contrast to U.S. films, which, while over-the-top at times, are often focused on the effects of combat, rather than the combat itself (i.e. explosions). In anime, however, power is visible. Dragonball Z often went a little overboard with its action, dragging out battles for five or six episodes, but it also showed us action at its most flamboyant. American audiences might be surprised to know that a lot of the anime that makes it to our TV screens has actually been watered down for our audiences. That might not be so true for the stuff that shows up on late night cable, but the popular shows on Saturday morning or in the afternoon have often had their questionable content removed. Anime, thus, tends to go places where traditional western television is unwilling (except in indie stuff and late night British TV). Sociology would suggest that this has to do with the absence of western-style theology in the Japanese sphere, since a great deal of Japanese people are not “religious” in a traditional sense. In any case, so many great anime are not afraid to go into the darkest, dirtiest, and awful places of human potential. But they also dig deep into the human mind, sometimes in the most beautiful ways (like in Gasaraki, which is both dark and beautiful at the same time). This may be a strictly Japanese thing, but one of the aspects I most appreciate about anime is how they often create an extraordinary amount of romantic tension that, often times, doesn’t get fully resolved, or, if it does, it’s expected, but still an enormous relief (like in Saikano). Great anime, however, do this by presenting enormously complex and flawed characters torn by conflicting emotions. Romances in science fiction anime are particularly powerful, because they place the selfless in opposition to the selfish. One’s desire to save everyone fights against the suppressed desire to fulfill one’s selfish desires (love, etc.). But maybe I’m wrong. Either way, the next few years should be pretty interesting in the anime live-action adaptation department. Here’s hoping for some knockouts! ‹ Promo Bits: Gantz (Live Action Film) Premieres on the Jan. 20th,2011! Um. Transformers???? Sure, the toys were Japanese technology, but the storyline characters, EVERYTHING was created by a bunch of Americans employed by Hasbro. The cartoons themselves were purely american. It's never been anime OR manga. Not true. It was animated in Japan and South Korea, but written and recorded in America. So, technically, anime. Transformers began in the States. Its technically American animation, regardless of whether or not its animation was done in a Japanese studio. Also, you seem to have left out Gantz. Maybe not quite as well known as some of these other anime-to-live-actions you listed, but it looks really great. And Akira and Cowboy Bebop are going to be horrible. Anime = animation done in Japan. Technically it's Anime. I didn't leave out Gantz. It's in there. Read the whole post. Yeah, I kinda skimmed the second half of that paragraph. That would explain my lack of seeing Gantz. Anime is a culture. To say that "anime=animation done in Japan" either cheapens the art or displays a colossal lack of understanding on what anime is all about. Or it's just me trying to move past one minor issue in the post back to the content, since arguing over whether something is or is not anime has very little to do with what I'm saying about anime in the post. Regardless, anime itself is not a culture. Anime is a film style. This is like saying that science fiction is a culture. It's not. Science fiction is a genre. Fans produce the culture. Anime is the same. It is a film style which has roots specifically in Japan, alongside which has sprung a culture dedicated to the form. Anime fandom, or otakus, as some at conventions like to be called, is a culture built around anime, but not of anime itself. This isn't a colossal lack of understanding about anime. This is experience, having attended numerous anime conventions, participated in groups, and so on. Either way, the art in Transformers is pretty American in look and feel. Just look at Macross as a comparison. The original character "Jet Fire" who actually appeared in the Transformers series was a straight rip off of the Veritech fighter. It's funny, because he actually LOOKS alien in the transformers cartoon. In any case, does that make The Simpsons a Korean cartoon? The logic is silly. I dunno… rather than moving past anything, it looks like you've made a mistake you don't want to own up to. I said it was "technically" anime. Whether it's "pure" anime is another issue. And no, it's not "pure" anime. The Simpsons isn't Korean. It's an American show initially produced in America that outsourced to Korea, which is different from Transformers, which is a Japanese concept taken up by America, written into a show, and then given to Japanese studios for production. Maybe that's outsourcing too, but I can't find anything that says they went to Japan specifically to outsource the job. It's your blog, so I suppose it's your right to throw out something factually incorrect and then say "moving on", but according to Wikipedia, Transformers is a Japanese toy, but an American concept, produced by a studio out of New York, and then by Hasbro Productions. Jim Shooter and Dennis O'Neil were hired by Hasbro to create the backstory, the latter of whom christened Optimus Prime. Afterwards, Bob Budiansky created most of the Transformers characters, giving names and personalities to many unnamed Diaclone figures. The primary concept of G1 is that the heroic Optimus Prime, the villainous Megatron, and their finest soldiers crash land on pre-historic Earth in the Ark and the Nemesis before awakening in 1984, Cybertron hurtling through the Neutral zone as an effect of the war. The Marvel comic was originally part of the main Marvel Universe, with appearances from Spider-Man and Nick Fury, plus some cameos, as well as a visit to the Savage Land. I got the rest right, didn't I? Lol. Speedracer is anime on steroids… though back in the day, we called it "Japanimation"
You can't get away with saying that at most conventions these days. You'll either show your age or get laughed at. Most likely both :P.
Yeah, I've been warned about the laughter, but when did it switch? I mean, one day it was Japanimation and the next it was anime. How did that change happen so quickly? Or am I >really< that old? I think it was in the 90s, but I can't be sure. I wasn't a huge anime fan until the early 2000s. I watched anime, but I didn't really know it was anime until someone said "yeah, all that Japanese stuff is anime." By then they didn't say "Japanimation" anymore. And, yes, you're really that old :P. Only you're not that much older than me, so how can you be old?